• Unwrap the Hershey kisses. • Place frosting in a piping bag with a small tip. (You can use a Ziploc bag with the corner cut out if you don’t have a piping bag). • Squeeze a pea-sized dollop of frosting on bottom of Nilla Wafer then push bottom of Hershey Kiss onto that chocolate frosting on the Nilla Wafer. • Place an even smaller amount of frosting on top center of Nilla Wafer then place the bottom of a butterscotch chip on top of that frosting. • Repeat for all the cookies, kisses and chips. 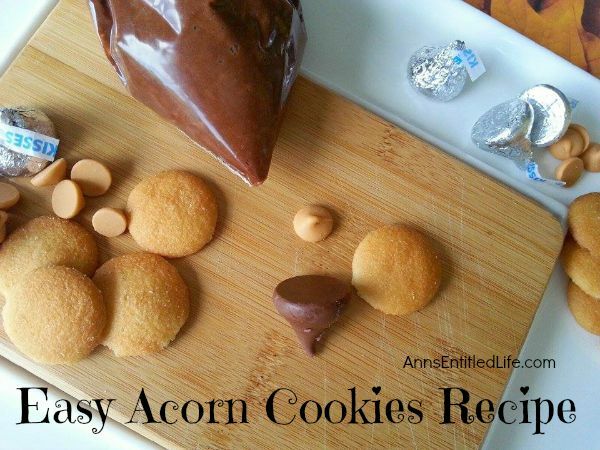 • Allow the Acorn cookies 1 hour to dry, firming the chocolate and solidifying the contacts. This is a really fun recipe to make with kids! There is no way to mess up (make a mess sure, mess up, no) and there is no way for them to burn themselves. Snacks, lunchbox … these are just a fun treat! 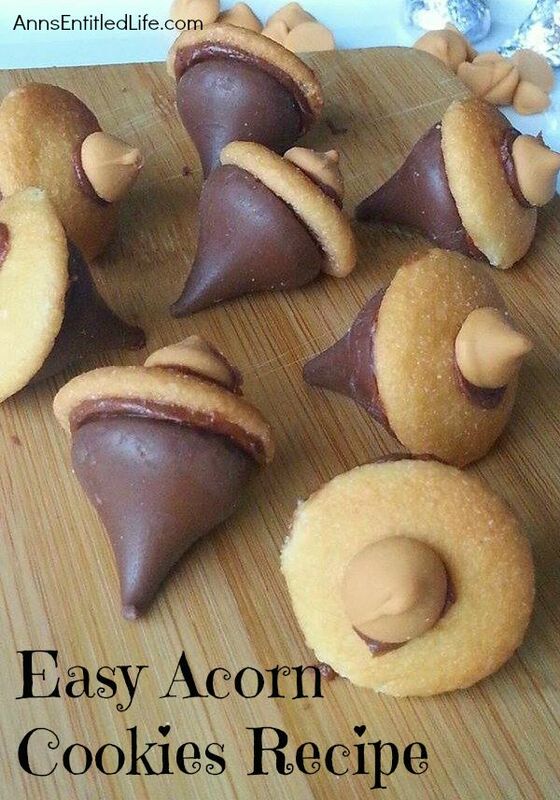 • To print the Easy Acorn Cookies recipe click here. Ann, these look delightful and so perfect to welcome fall! This is on my to-bake list. I hope you enjoy them, Mary Lou! Very cute cookies and I bet yummy as well. My grands would love these babies. 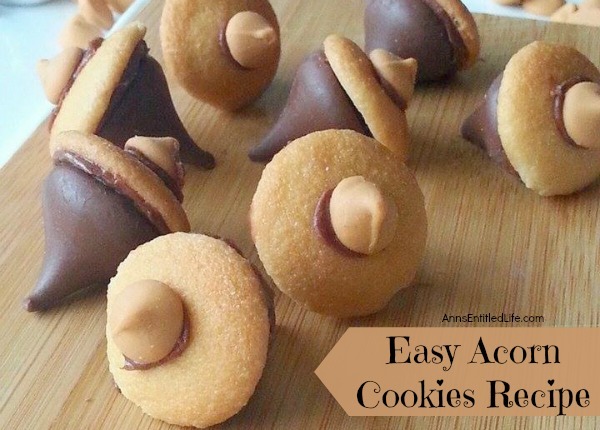 These are so cute, Ann! How fun for Fall. Oh these are so darling! Love it! Pinned! Congratulations on being featured at this week’s Motivation Monday Party! These cookies have escaped me for many years but I’m determined to make them. Thank you for the gorgeous pictures and the recipe. 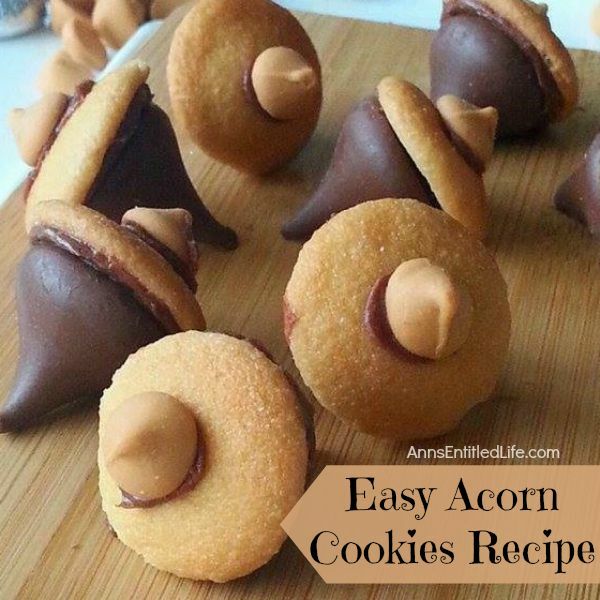 The Acorn cookies are so cute. Thank you for sharing at Moonlight & Mason Jars link party. Pinned.